For anyone searching serial number lists. 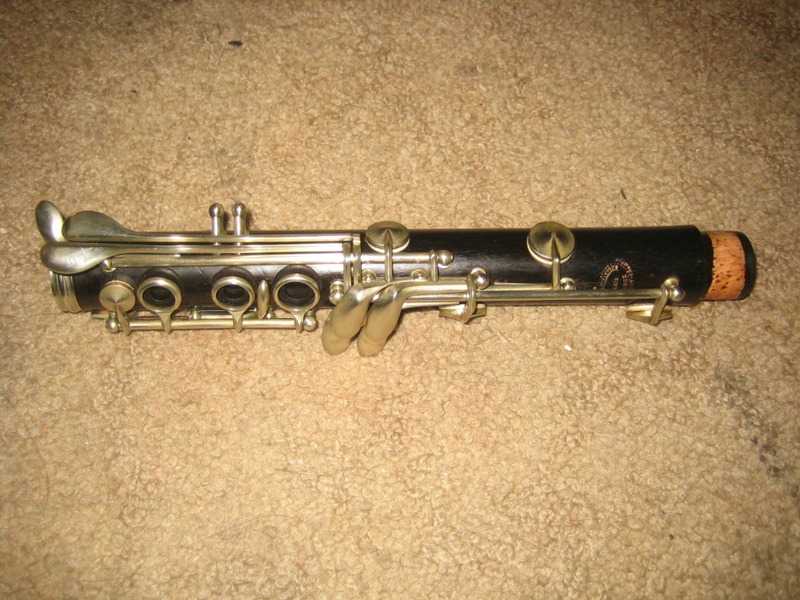 First, you have to identify the model of clarinet. Is it an “Evette”, or an “Evette-Schaeffer”, or a true “Buffet”. Around 1978 the Evette and E&S models were dropped for the name change to B12, E11, etc. Then you have to identify the location of manufacturing. 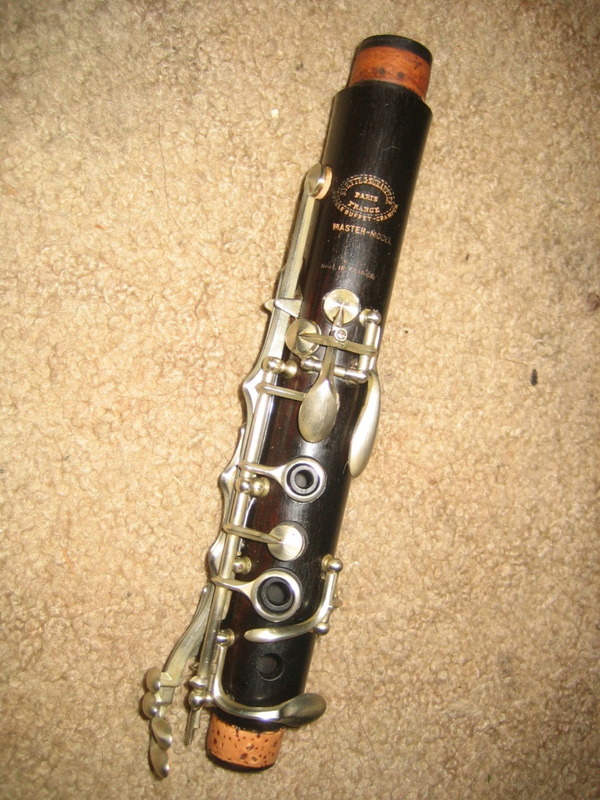 clarinet. And these serial number lists have no correlation to Buffet. “B”, “C”, “D”, “E”) then it is made by Malerne. it may be on the list below. 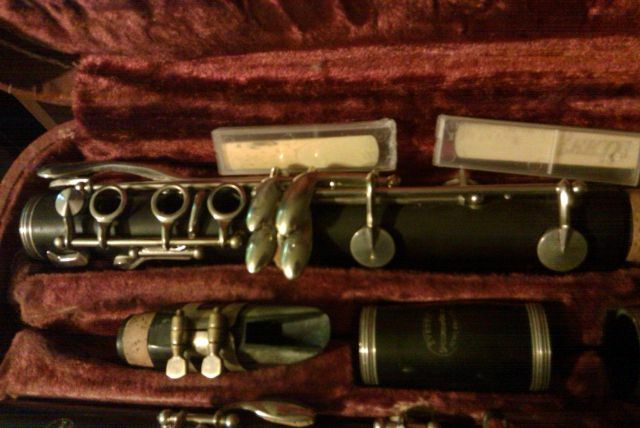 and that is with the Buffet Limite (with silver plated keywork) clarinets. not related to this list. 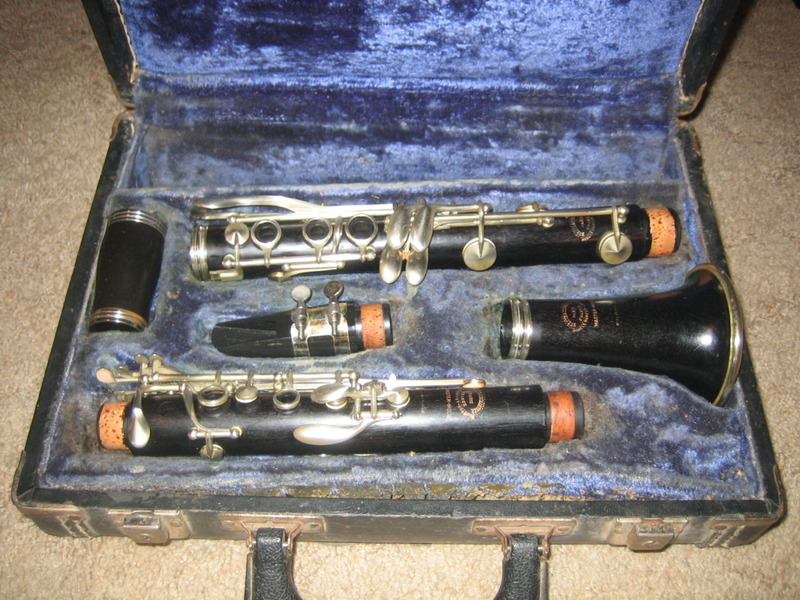 Who made the earlier Evette and E&S clarinets ? and those were Schreiber made. is the same with the E&S / Evette model line if it was made by Buffet. the top pad cup arm bends upwards – aka Malerne’s !! “Plastic Evette became the B12. fit for R13s? This could occur any time in the R13 process. clasps, holding barrel separate, L side compartment. A series  "early-mid thirties based on its keywork"     ?   ? B388   ? "The Evette-Schaeffer name is inside the upper arc of an engraved oval, with Paris in the center and France on the bottom of the oval. Underneath the oval is Modele Buffet-Crampon."   ? B0770   ?     ? "... colored a rusted brown and has rounded edges with the metal stamp of Buffet on it. It has two locking [button] latches. ... The inside of the case is a burgundy colored velvet with an area at the back of the case that holds extras such as the swab, lyre, etc. (Just one long open area across the back). 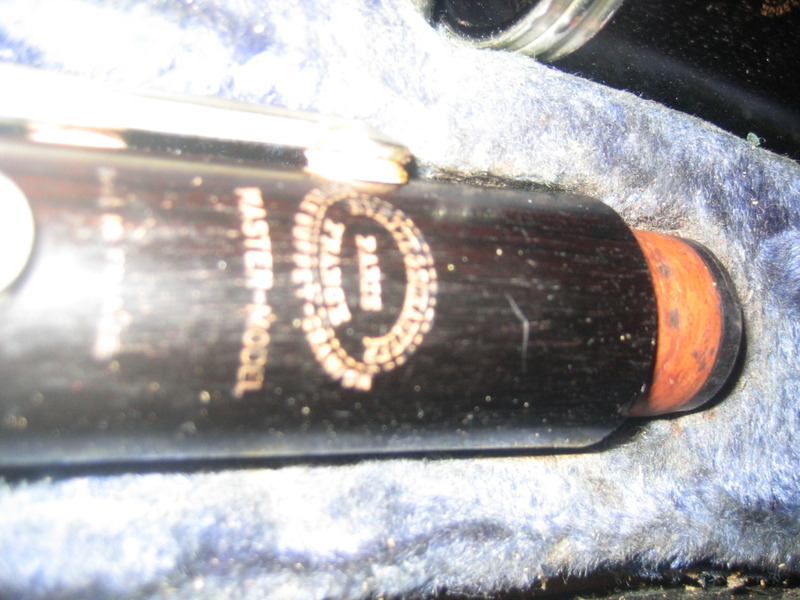 There is also one small section that measures about 1x2 inches where the reed case goes. " B1074  1930s-1940s Germany*    "the bell of my instrument says, 'Made in France'."   ? B1273   ? eBay 9/06  On bell: "Evette / Schaeffer" [punctuation unclear] / "Paris" / "France" in oval, "Modele Buffet-Crampon" below oval. Rounded rectangular case, brown w/ brown lining, holding barrel separate (maybe room for 2nd barrel or reed case), rear compartment. B2542   ? Eveette&Schaeffer, Paris, France. Modele Buffet-Cranpon.   ? B29xx   ? eBay 9/06   ?   ? B4477  1952 (June 1952 per B&H)     ?   ? B5604   ? eBay 9/06   ?   ? B6816   ? eBay 9/06   ?   ? B7129   ? eBay 9/06  On barrel: "Evette & Schaeffer" / "Paris" / "France" in oval. "Made in France" above oval. "Modele Buffet-Crampon" below oval. Rectangular case, brown w/ brown lining, w/ lift? 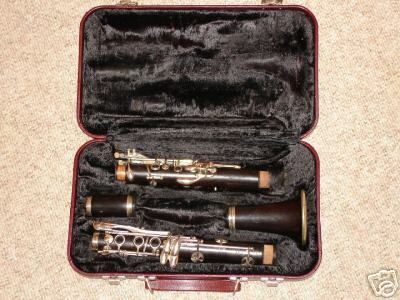 clasps, holding barrel separate, room for 2nd barrel or reed case, rear compartment. B7899  pre 1956 (sold on 8 Aug 1956)  eBay 9/06   ? Rounded rectangular case, brown w/ brown lining, w/ spring clasps, holding barrel separate, room for 2nd barrel or reed case, rear compartment. B8193   ? Modele Buffet-Crampon.   ? K81  ~1941*  eBay 9/06  "The trade mark says below the Evette & Schaeffer 'modele buffet-crampon'". Bell end case, black w/ red lining, w/ button slide clasps and center lock, holding barrel on top joint, round cork grease RR, reed case LC. K512  1943 "There was a bill of sale with the instrument dated early 1943 that appeared to belong to the instrument." ?   ? K569   ? eBay 9/06  "All 5 pieces are marked with 'Evette & Schaeffer Paris France Modele Buffet-Crampton'." Bell end case, black w/ purple lining, w/ spring clasps. K23xx   ? 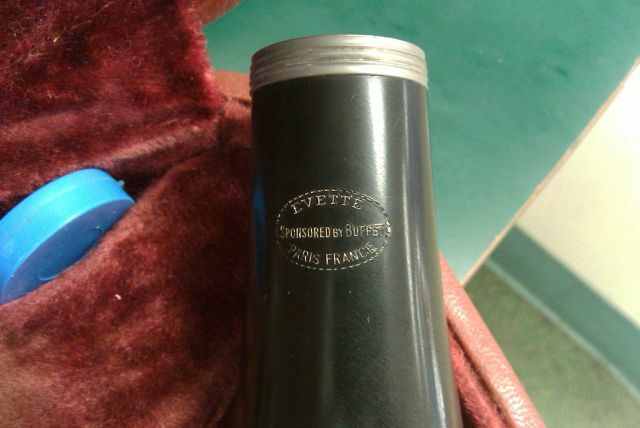 "Evette & Schaeffer Paris, France Modele Buffet Crampon Made in France"   ? 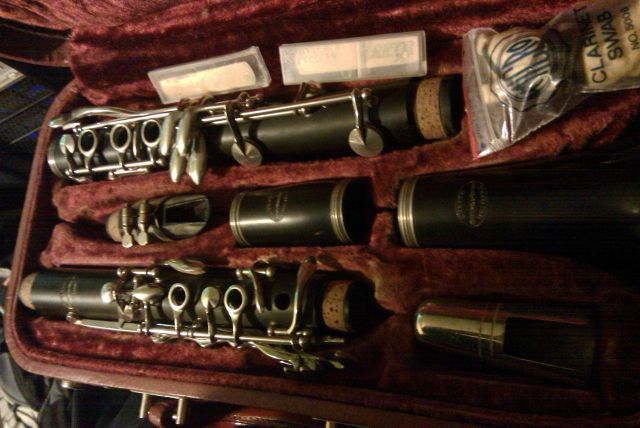 K24xx  "This was my clarinet that was purchased new for me. I think it was purchased about 1954." J. Martin, R. Holmes (eBay 8/06)  On all parts: "Evette & Schaeffer" / "Paris" / "France" in oval, "Modele Buffet-Crampon" below oval, "Made in France" well below oval. 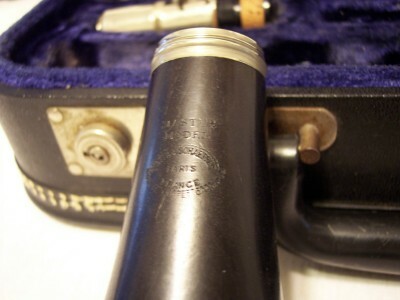 Bell end case, black w/ purple lining, w/ spring clasps, holding barrel separate, room for reed case (probably), flat cork grease RR. K4000  1952 -- according to B&H site in 2002 -- earliest K series serial number available from that site     ?   ? 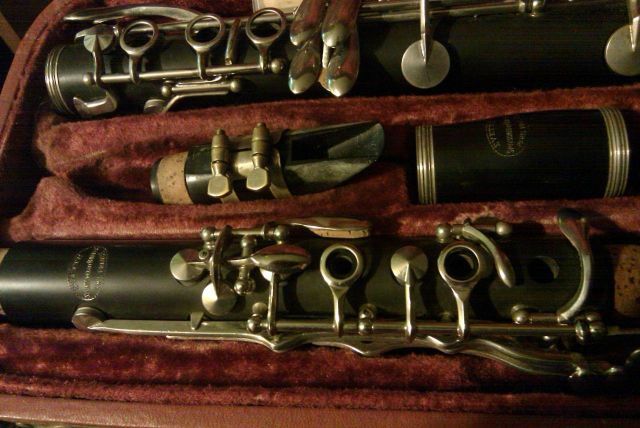 A K4xxx on purchased eBay had identical keywork to a 1955 R-13. K5077  1953 "The Buffet site lists K5077 as built in 1953"    [Master Model]   ? K55xx  1960s  eBay 9/06  On bell: "Evette & Schaeffer" / "Paris" / "France" in oval, "Modele Buffet-Crampon" / "Made in France" / "Master-Model" below oval. No case. K6285   ? eBay 9/06  On top joint: oval (unclear), "Made in France" / "Master-Model" below oval. Brown lining, holding barrel separate, front and side compartments. K67xx   ? eBay 9/06  [Master Model]   ? K7631   ? 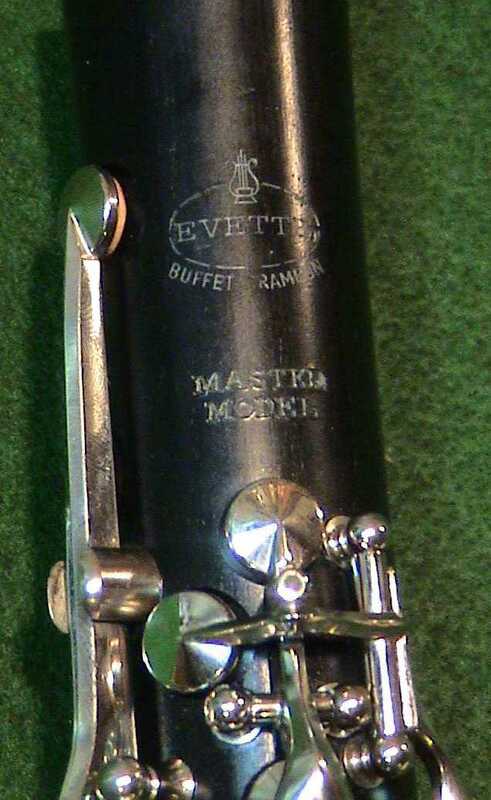 Evette & Schaeffer, "Master Model" above oval, "Modele Buffet Crampon" below oval.   ? K8222  "I've seen a questionably source that said s/n K8222 sold new in 1958." ?   ? K9193   ? 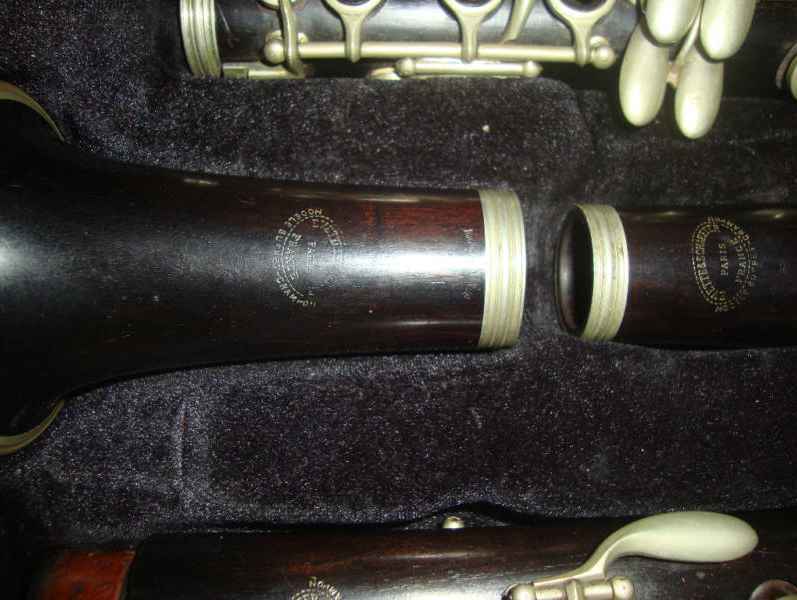 eBay 9/06  "Master Model" above oval, "Evette & Schaeffer" / "Paris" / "France" in oval, "Modele Buffet Crampon" below oval. Rectangular case, black w/ blue lining, w/ spring clasps, holding barrel separate, room for 2nd barrel or reed case, rear compartment. K10452   ? eBay 9/06  On all pieces: "Evette & Schaeffer" / "Paris" / "France" in oval, "Modele Buffet Crampon" below oval. Rounded rectangular case, brown w/ brown lining, holding barrel separate, reed case, rear compartment. K10511   ? [Master Model]   ? K10593   ? [not Master Model]   ? K124xx   ? 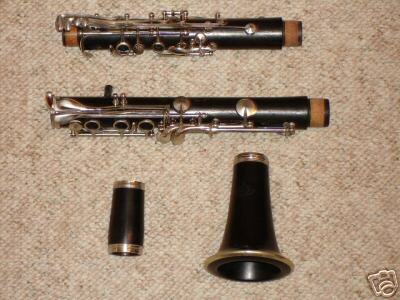 eBay 9/06  Modele Buffet-Crampon. Rounded rectangular case, brown w/ brown lining, holding barrel separate (maybe room for 2nd barrel or reed case), rear compartment. K135xx   ? [not Master Model]   ? K15901   ? 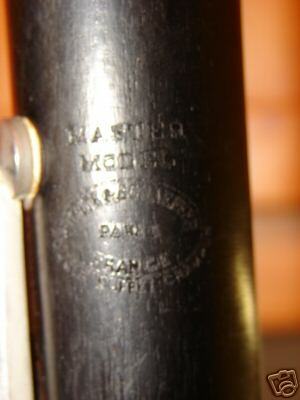 eBay 9/06  On bottom joint: "Master Model" above oval, ? in oval. 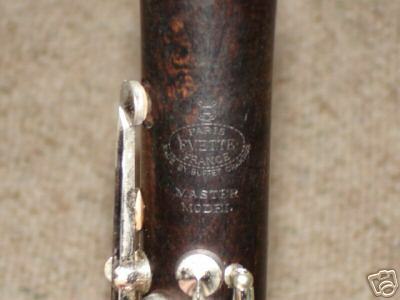 "The instrument has the factory markings Buffet Crampone & Co Paris and Evette & Schaeffer along with the words Master Model on both large pieces of the clarinets body."   ? K18xxx  1968    [Master Model]   ? K187xx   ? eBay 4/06 (L. Peters)  [not Master Model]  Black rounded? rectangular. K227xx   ? [Master Model]   ? 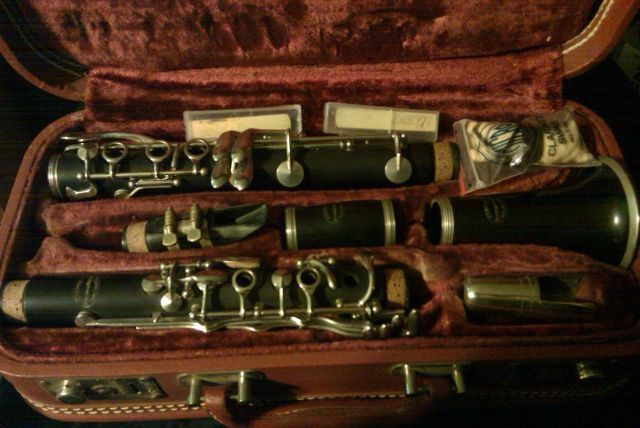 K230xx  pre 1976 "I have owned this clarinet for over 30 years" (in 2006)  eBay 9/06 (& seller response to question)  "Evette & Schaeffer" / "Paris" / "France" in oval, "Modele Buffet Crampon" below oval. Rectangular case, black w/ blue lining, w/ spring clasps, holding barrel separate, room for 2nd barrel or reed case, rear compartment. K25860   ? eBay 9/06  On top joint: "Evette & Schaeffer" / "Paris" / "France" in oval, "Modele Buffet Crampon" below oval. Rounded rectangular case, black w/ blue lining, w/ spring clasps, holding barrel separate, room for 2nd barrel or reed case, rear compartment. K28717   ? eBay 9/06  "ALL PIECES ARE STAMPED MADE BY BUFFET EVETTE &SCHAEFFER"  Rectangular case, black w/ black lining, w/ lift clasps, holding barrel separate, side compartment. K31536   ?     ? Rectangular case, black? w/ red lining, lift clasps, L side compartment. 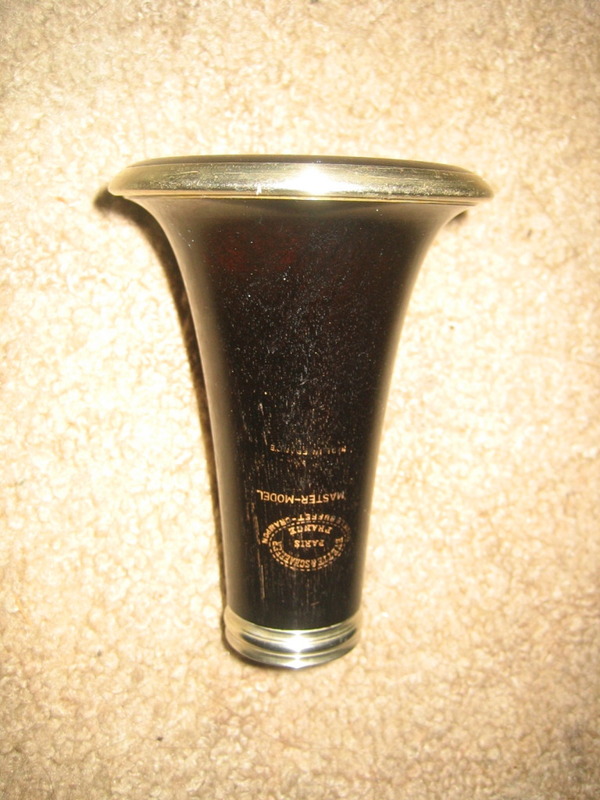 K351xx  1960s  eBay 9/06  On barrel: Lyre above oval, "Buffet" / "Crampon & Cie" / "A Paris" in oval, script "R"? / "Made in France" below oval. 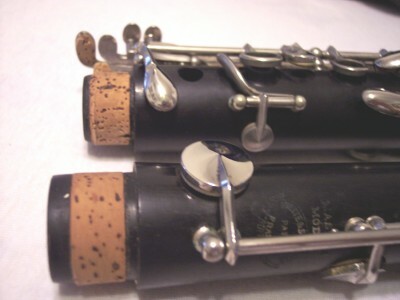 On top joint and bell: "Evette & Schaeffer" / "Paris" / "France" in oval, "Modele Buffet Crampon" below oval. Rectangular case, black w/ blue lining, w/ lift clasps, holding barrel separate, room for 2nd barrel or reed case, rear compartment. K35339  around 1976 (from s/n)  eBay 9/06   ? Rectangular case, brown leather with red/pink lining, turn clasps on side, holding barrel separate, L and F compartments. K35468  1976 (from s/n)  eBay 9/06  On barrel: "Evette & Schaeffer" / "Paris" / "France" in oval, "Modele Buffet Crampon" below oval.   ? K444xx   ? 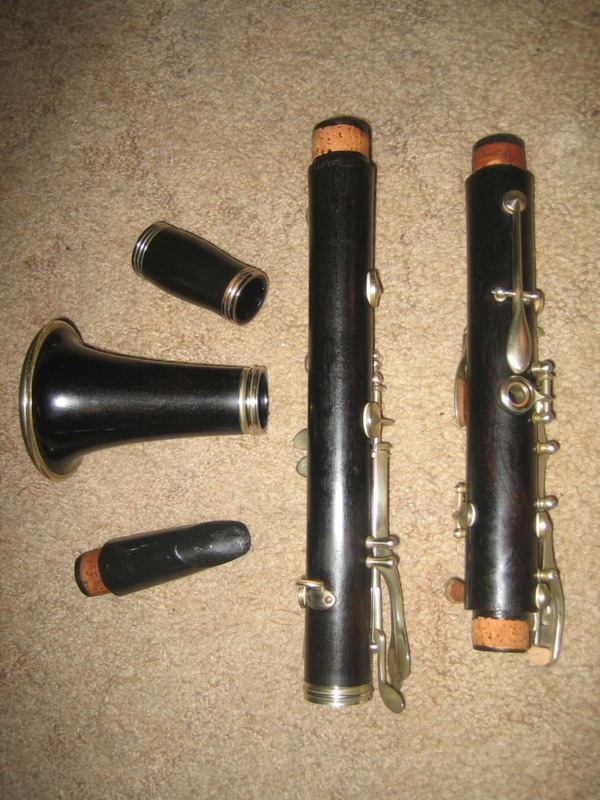 eBay 9/06  Made by Buffet-Crampon. 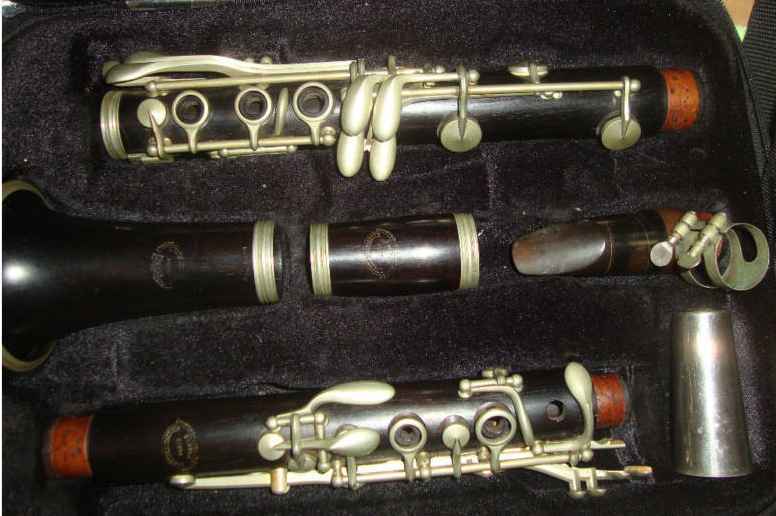 * Note that Buffet serial number list shows no Buffet production 1940-1944 -- it seems particularly improbable that Buffet would have built clarinets in Germany in the "1930s-1940s".